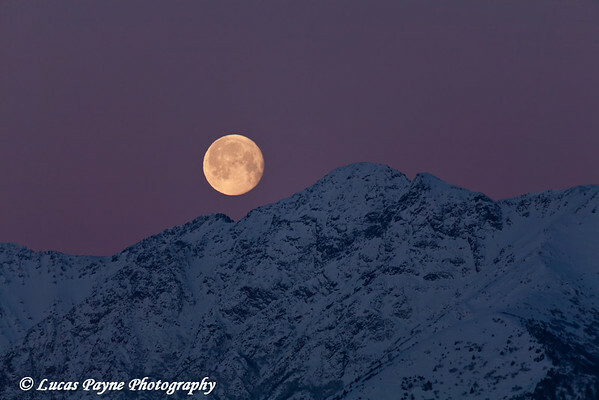 Moon setting over the Chugach Mountains south of Anchorage along Turnagain Arm. Beautiful moon shot--love the colors in the sky and moon. Just lovely.